This month, I will take a slight detour to describe two rather colorful people in the history of science – Marie Anne Pierrette Paulze Lavoisier de Rumford (1758-1836) and Benjamin Thompson, also known as Count Rumford (1753-1814). Both of them contributed to progress in science during the late 18th and early 19th centuries, although neither was instrumental in our understanding of the nature of matter. However, their stories make for some interesting tales. Marie Anne Pierrette Paulze was the only daughter of an aristocrat, Jacques Paulze, who derived his income as a partner in Ferme Générale, which collected taxes for the French royalty. When she was 12 years old Count d’Amerval, a 50-year-old relative of a friend of her father’s boss, proposed to marry her. The count was rather poor and saw the young Marie as a way to financial security. Marie did not take well to the idea, so her father needed a way out. However, he feared that a straightforward refusal could cost him his lucrative job. 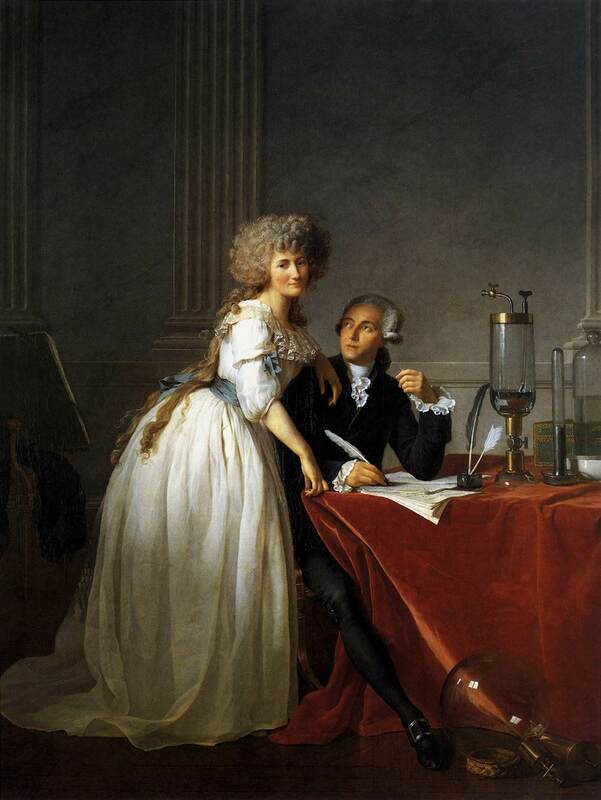 The solution was to have Marie marry another partner in Ferme Générale, Antoine Lavoisier. So at the age of 13, Marie became the wife of a 28-year-old man who was to become the father of modern chemistry. Educated in a convent, she was a bright young woman who quickly began to take an interest in her husband’s scientific endeavors. 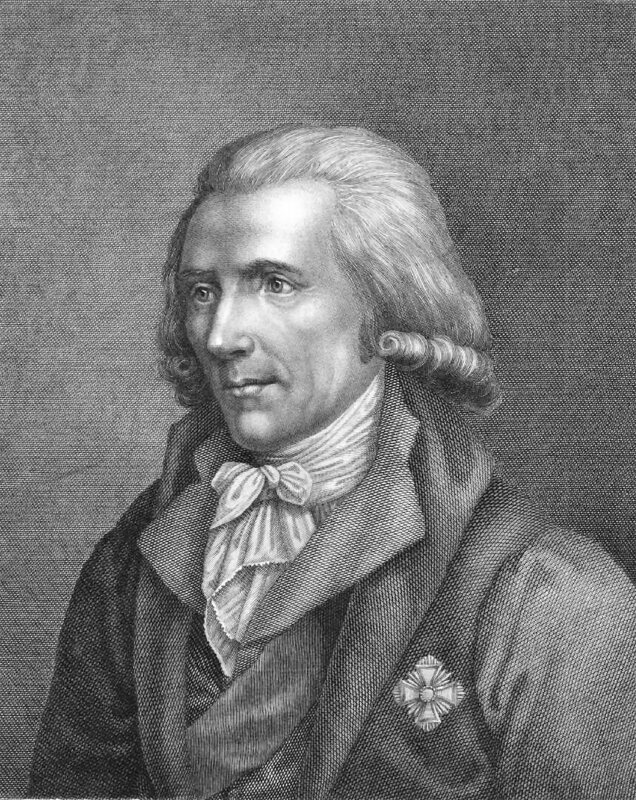 In 1777, Jean Baptiste Bucquet, one of Antoine’s collaborators, began to tutor Marie in chemistry. She also learned English during the same time period. The combination of English and chemistry became important to the progress of science. During this period, one of the important questions of science was what happens when an object burns. A dominant theory of the time involved a hypothesized substance, phlogiston. While phlogiston had not been isolated or measured in any way, the prevailing theory stated that it was released whenever any substance burned. This phlogiston was transferred to the surrounding air. One of the reasons that objects could not be completely burned in a closed container was that the air which was trapped inside the container became completely phlogisticated and could not absorb any more, so the fire went out. Richard Kirwan, a British chemist, had written “Essay on Phlogiston,” an extensive description of this theory. Antoine Lavoisier was not fluent in English, so Marie translated the essay into French. However, she did much more than simply covert the words into a different language. 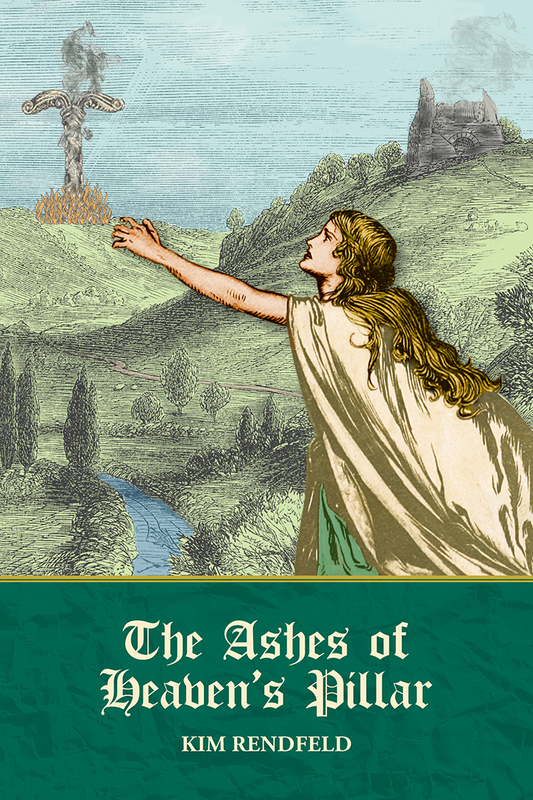 Her translations contains notes such as, “There is in these kinds of experiences a cause of errors that seems to have escaped Mr. Kirwan.” She goes on to describe the possibility of an interaction in which water and carbonic acid escapes. She also notes about one experiment that it was conducted with a carbonate of ammonia rather than pure ammonia. In 1788, the French edition of Kirwan’s essay with notes by Mme Lavoisier was published in Paris. Marie Lavoisier translated other scientific papers, some of which appeared in French journals. She was also an accomplished artist. She once painted a portrait of Benjamin Franklin, the most well known America scientist of that day. The portrait has been lost, but her etchings of equipment and activities in the Lavoisier chemistry laboratory survive. 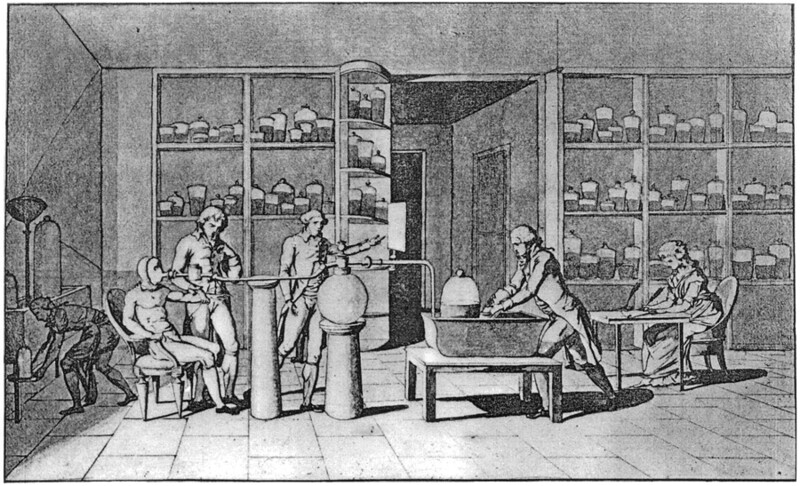 Her 13 plates, produced in Antoine’s Elementary Treatise on Chemistry, show remarkable detail of the equipment in an 18th century chemistry lab. Some other drawings show experiments under way. My favorite is “Lavoisier in his laboratory: Experiments on respiration of a man at rest.” It shows the laboratory arrangement and includes a self-portrait of Mme Lavoisier to one side as she draws the experiment. Unfortunately we do not know the full nature of the Lavoisiers’ collaboration. The values of the 18th century did not make it easy for a woman to receive proper credit for working with her husband. After Antoine Lavoisier’s execution, Marie worked to protect and extend his reputation as a chemist. She prepared a two-volume set of his Memoirs. 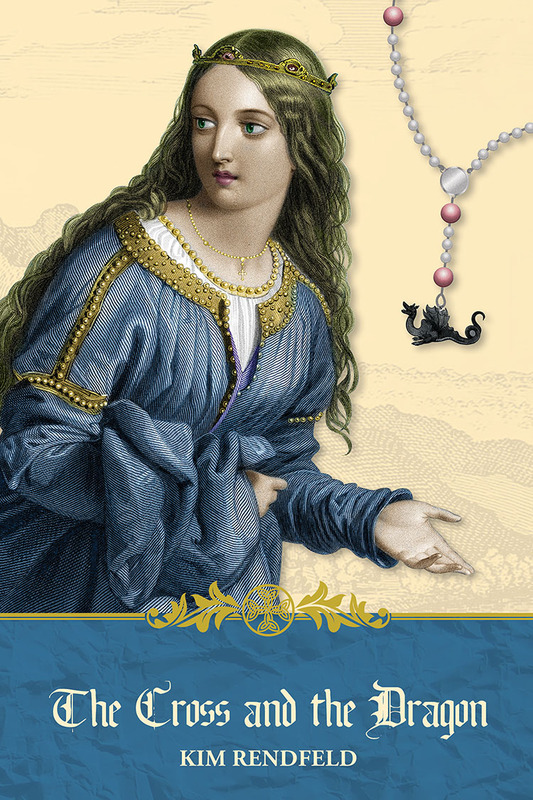 In a preface, she condemned six men that she felt could have come to her husband’s aid during his imprisonment. The condemnation was “scathing,” so no publisher would print the book. However, in 1803 she printed it privately and distributed copies. Two years later, the preface was removed, and the book published again. In 1801, Marie met the man who would become her second husband, Benjamin Thompson, born and raised in Massachusetts. He opposed the American Revolution, spied for the British, and eventually abandoned his family to move behind British lines. During the war, he conducted experiments on the force of gun powder. Near the end of the war, he moved to London and later to Munich. He became a count of the Holy Roman Empire in 1791 and took the name Rumford after the township in which he lived in America. By that time, he was a well known scientist. Shortly after he met Marie Lavoisier, Rumford wrote is his diary that she was “one of the cleverest women ever known and uncommonly well informed.” Their courtship was somewhat complex. Rumford was a British citizen who spent much of his time in Munich. Being British during the reign of Napoleon meant that Rumford was not welcome in France. However, after they took an extended trip in 1803 to Bavaria and Switzerland, Marie Lavoisier did convince the French government to allow Rumford to stay in France. Even then there were lots of bureaucratic barriers to their marriage, but they were finally married in 1805. Problems with the marriage started to become apparent very quickly. Unfortunately, very little of Marie’s side of the story has survived while his side is preserved in letters to his daughter. One issue that was probably important was that Rumford mostly worked alone. This was quite different from the way Marie and Antoine Lavoisier worked as a team. Also they were quite different socially. Marie was outgoing and liked to be involved in a variety of social gathering. He, on the other hand, was somewhat isolationist both in science and social activities. A story which Count Rumford wrote to his daughter on the second anniversary of the marriage conveys the depth of the problem. The count frequently took refuge in his laboratory. Eventually, he set up a lab separate from their home so that he could be isolated from the woman that he had sometimes referred to as the “dragon.” So while Mme Lavoisier de Rumford did not assist the count directly in his scientific endeavors, she may have encouraged his work by giving him a reason to stay in the lab by himself. The unhappy couple separated in 1809. Not much information survives about Marie Lavoisier after her marriage to Count Rumford. She apparently was still active in Parisian social life and took an active role in some charitable work. She died at the age of 78 in 1836. I hope that you found this detour interesting. Next time we will return to early 19th century chemistry, which continues to be important in the development of ideas about the structure of matter. What Are Things Made of? Depends on When You Ask. Did Atom Theory Play a Role in Galileo’s Trouble with the Inquisition? Did Gifted Scientist’s Belief in Atoms Led to His Obscurity? Does Atom Theory Apply to the Earthly and the Divine? Dean Zollman is university distinguished professor of physics at Kansas State University where he has been a faculty member for more than 40 years. 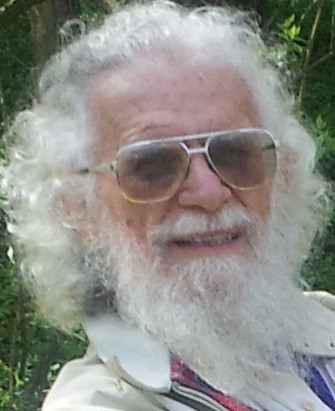 During his career he has received four major awards — the American Association of Physics Teachers’ Oersted Medal (2014), the National Science Foundation Director’s Award for Distinguished Teacher Scholars (2004), the Carnegie Foundation for the Advancement of Teaching Doctoral University Professor of the Year (1996), and AAPT’s Robert A. Millikan Medal (1995). His present research concentrates on the teaching and learning of physics and on science teacher preparation.